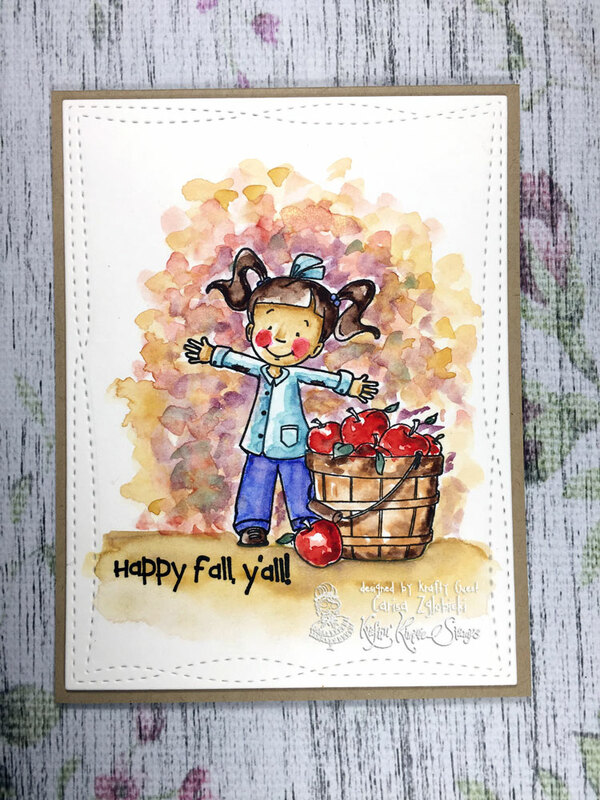 Inky Fairy Designs: Kraftin' Kimmie Stamps Saturday Challenge And I'm a guest this month! Whoohoo! Kraftin' Kimmie Stamps Saturday Challenge And I'm a guest this month! Whoohoo! Someone pinch me...I am so excited to be a Kraftin' Kimmie Stamps guest for the month of October! I get to inspire you with our challenges as well as join in the fun of the October release which begins next week. Whoohooo! For this week's Saturday challenge, we're using Fall / Autumn colors. 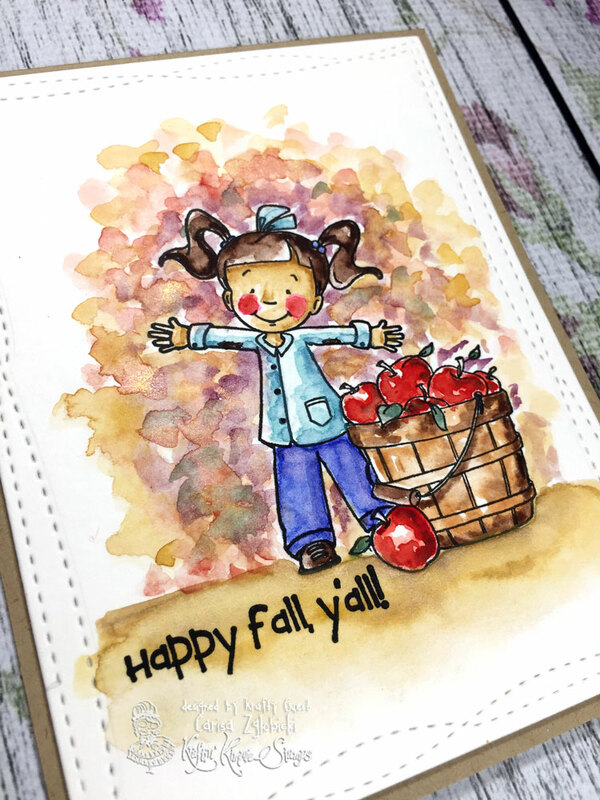 I pulled out this adorable stamp called Happy Fall Ya'll which is BACK IN STOCK and some of my favorite watercolors to color up following our theme. Here is a close up of my card. I love the way the background turned out - just as I imagined with all those yummy fall colors the come with the leaves changing. October Peeks start on Wednesday!! Visit us on our FB Page or here to join in the "Merry Celebration"! It's our Anniversary! Kraftin Kimmie is celebrating 8 years in October and to celebrate we're doubling the Frugal Friday Fun! Every Friday during the month of October, Kimmie will be posting 8 Krafty Sets for 40% off!! This is an adorable card !! I love your watercoloring.